If you were a Jewish person living in the times of Daniel and Esther, you had a reason to be depressed. Your nation had been conquered. Your hometown was in ruins. Your people were in captivity. Yet these two individuals-living under different rulers in different times-stood out because they believed God was with them and actively leading their lives. Daniel's story reminds us it is possible to be obedient to the Lord even when we are surrounded by those who are disobedient to his Word-and that God will reward us for our faithfulness. Esther's story teaches us that we will have to face this life with courage ... but that God will give us the strength to persevere. 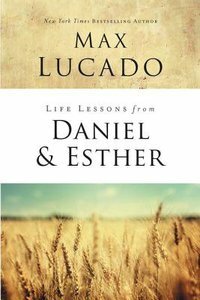 About "Ruth and Esther: Faith Under Pressure (Life Lessons With Max Lucado Series)"